Honey is for more than just tea and sandwiches! My eight year old daughter recently has a very sore throat in addition to strep throat, I felt so sorry for her. Guess what?! 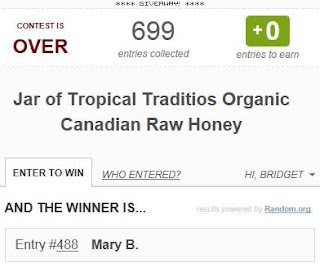 Tropical Traditions organic raw honey helped soothe her throat on more than one occasion. Just a spoonful is all it took to give her some much needed soothing relief! I want to thank everyone who entered my Tropical Traditions: Organic Honey Giveaway. I would also like to thank the giveaway sponsor for providing this great giveaway for my readers. Earn Cash, Gift Cards & Prizes: Join SuperPoints! 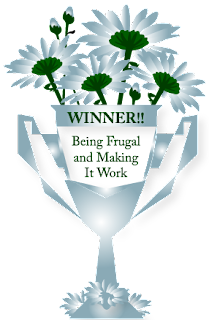 Earning Money Online - Sites That Really Work! Do You Know How to Clean up Your Credit Score? Start up the Grill - BBQ Giveaway! School Lockers: For the Cool Kids! Wedding Season Savings: Macy's Coupons! FREE Blogger Event - Sign Up Today! Free Coffee Mate Creamer Coupon - March 23 ONLY! Pet Health - A Top Priority! The First Day of Spring & My Wedding Anniversary! Bingo - The Game of Chance & Luck! Join Curves & Get a Free Week! Party Invitations: For Every Celebration! BLOGGERS: Team Up for a $75 PayPal Giveaway! FREE Mucinex Tablets - Get Mucus Out! Get it Right - Check Your Grammar! Money Saving Coupons for Breakfast Items! Addictions Affect Your Entire Family! $100 Amazon.com Gift Card Giveaway! Happy 100th Birthday, Girl Scouts! Free Redbox Code - Today 3/8 Only! Free Products to Motivate Your Kids! Gift Card Giveaways - Enter To Win!